We would love to have you join us at Verona Vineyards for any of our special events. There is never a cover charge for any of our concerts. If you would like to make reservations for a party of eight or more for dinner on Friday or Saturday night, please contact us via e-mail at info@veronavineyards.com or give us a call at 859-485-3544. We ask that your party arrive by 5:30 and reservations are limited depending on the size of the groups. 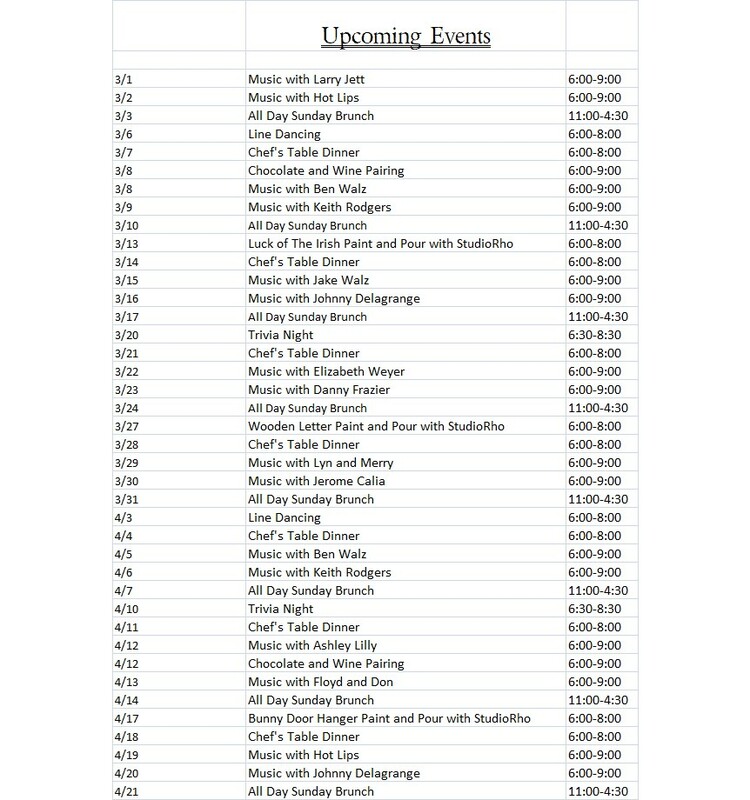 Reservations are not necessary at other times except for special events, holiday dinners, and StudioRho classes. If you would like to make reservations for any of our StudioRho events, please contact Rhonda at Studio Rho Entertaining at 859-444-0301 or click on the link through the Facebook Event. Nothing pairs better with great wine than good friends.